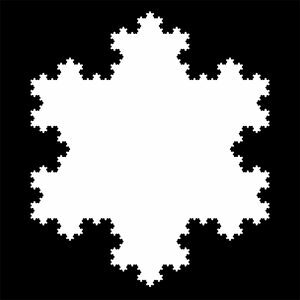 The Koch snowflake is one of the first fractal curves to be described. 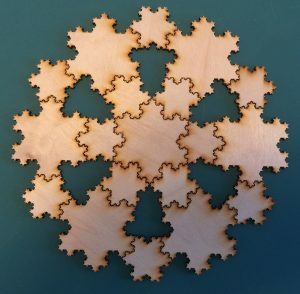 So that led to one of our first puzzles, which uses two sizes of snowflakes. 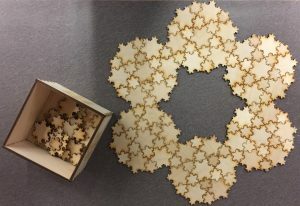 I put the box of pieces in the Mathematics Commons at the University of Michigan. Both of the patterns below were created there. Our son Max attends the United States Air Force Academy in Colorado Springs, CO. The Academy is divided into 40 squadrons of about 100 cadets each. 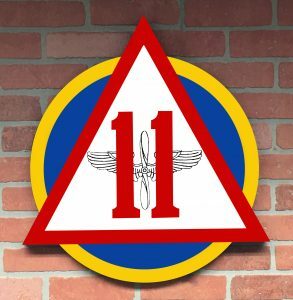 Each squadron has its own patch, and many of the squadrons display a wall plaque version of the patch at the squadron’s CQ desk (Cadet in Charge of Quarters). They did a nice job! 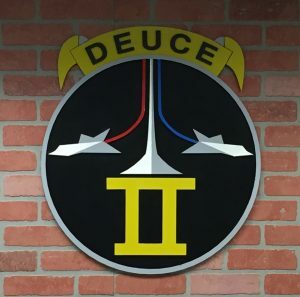 In cause you’re wondering, Squadron 2’s logo references the F-102 Delta Dagger, a 1960s era fighter-interceptor. Next thing you know, a couple of his buddies from his water polo team wanted plaques for their CQ desks. 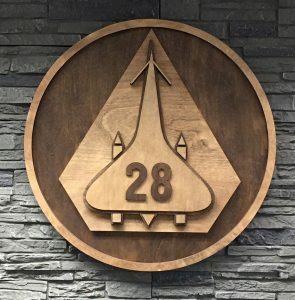 Squadron 28 (featuring a stylized SR-71 Blackbird) opted for two tones, alternating stain with a pleasant natural tone. 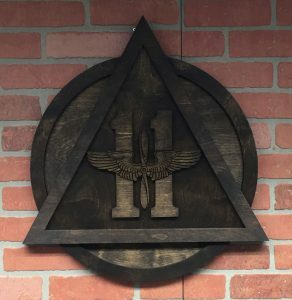 Squadron 11 went for a subdued look, and selected a dark stain for the entire plaque. I haven’t stained birch before, but this Fine WoodWorking forum has some suggestions for getting the best results. 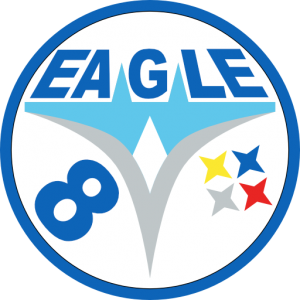 I must admit that I am partial to the bright colors of the original patch, so I’ve shown a Photoshopped version below. This is inspired by the Izzi puzzle, which is composed of squares. 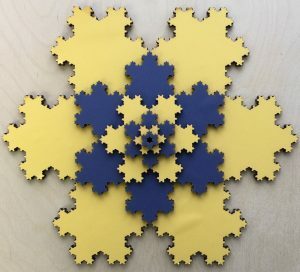 I learned about it from Professor Mark Saul of the The Center for Mathematical Talent at NYU, who developed beautiful mathematical content for i2camp.org. 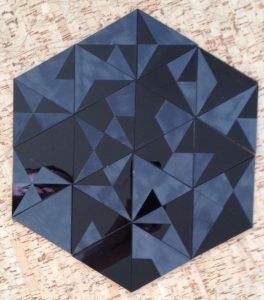 The Izzi puzzle consists of squares that have bisected edges that are combinations of black and white. 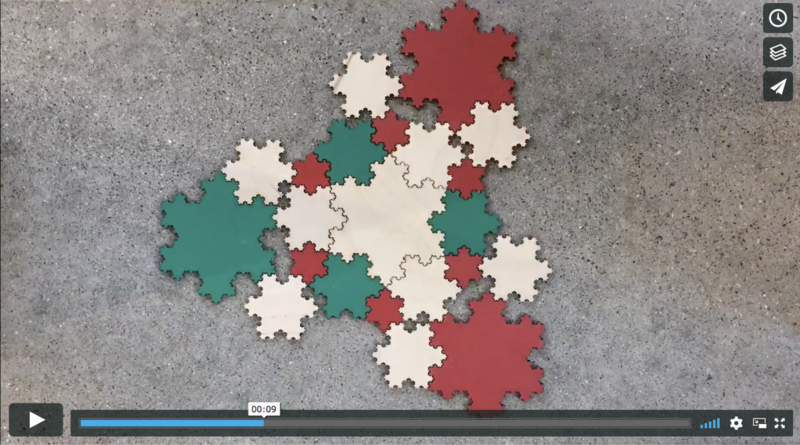 On my teaching blog, I explored the idea of using equilateral triangles.  You need only 24 pieces to have one of each possible triangle, and they can be assembled into a hexagon. The challenge is to match all edges. Below is the one I created in acrylic. The picture is a hexagon, but not a solution. I created them initially using etching to create a lighter color. But I’m not a fan of etching unless it is really necessary. For one thing, it is slow. But I’ve also found that there is usually a more aesthetically pleasing alternative using low power cut lines. The new version will be available soon in our store. An arbor is a small group of trees. I think of it as smaller than a forest, bigger than a grove. Ann Arbor (A2 to locals) loves its trees, and the co-founders of Ann Arbor named their new tree town after their wives, who shared a first name. Like many of our designs, the Arbor Letter design has mathematical inspiration that has connections to nature. If you look carefully at the trees, you’ll note they are self-similar. Whenever a branch forms, the branch is a copy of the tree, reduced in scale. So the trees are fractals. At first, we were taken with large (12”) diameter designs that we hung on the wall. And we have a pair of 20″ diameter with our surname initials for our front doors. But reduced to 3.5″, with a loop added, it makes a beautiful, delicate ornament. We now make the design in a variety of sizes, and have written software for composing variations in the shape, positioning, and number of trees. Processing was especially inspiring. I used its pdf library to algorithmically generate drawings. It was this, combined with a visit to Ann Arbor’s MakerWorks, that ultimately led to Cherry Arbor Design. 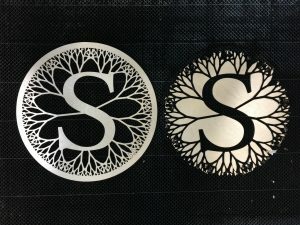 MakerWorks has an array of maker tools, but I was drawn to the laser cutter, because I could see how the drawings created in Processing could be turned into precise wood or acrylic representations. When I brought my creations home, Heidi was immediately intrigued with the possibilities. We started having our date nights at MakerWorks (yep, we’re nerds), creating earrings and other small items from thin cherry and maple boards, colorful acrylic, and Baltic birch plywood. Eventually, so that we could have unlimited access, we decided to buy a laser cutter. I still do most of my work with Processing and pf.js, while Heidi prefers Affinity Designer, an alternative to Adobe Illustrator. Today, Heidi and I spend much of our time together making things, and further developing our design skills. We are all about nonstop learning, so at the moment, we’re taking a PhotoShop class at the local community college.